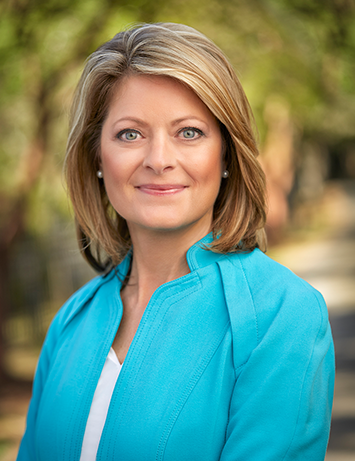 Heather Hoopes-Matthews is an award-winning journalist with extensive experience in South Carolina. A graduate of the prestigious University of Missouri-Columbia journalism school, Heather has delivered live news from the center of hurricanes, worked with “The Capital Gang” at CNN, and conducted investigative reporting that changed a South Carolina law to protect children. In 2002, Heather brought her valuable experience as a senior news reporter to Nexsen Pruet, to serve as the marketing and public relations director for the eight-office, 200-lawyer business law firm based in the Carolinas. Her passion for turning complicated information into a clear and concise message is the basis her for her strength in strategic marketing and business development initiatives. As an experienced communicator in public relations and marketing, Heather was selected to help launch NP Strategy, to assist companies in navigating messaging and engagement in rapidly changing environments. Her experience ranges from developing and implementing statewide community relations efforts for economic development projects to training business executives and government leaders how to engage the media during a crisis.